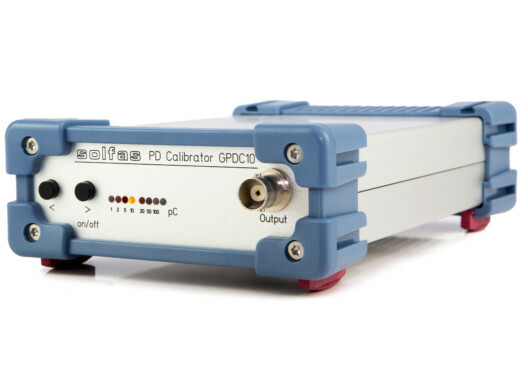 The GPDC10 is a calibrator for PD measurements according to the standards IEC 60270 and IEC/TS 61934. It is used for reference charge injection, which allows precise adjustments and sensitivity checks at PD measurement test setups. The compact and battery-powered design ensures an easy operation. With two buttons you can adjust the charge magnitude and turn the device on and off. The fast rise time allows measurements in the UHF range, which are required for PD measurements under short rise times and repetitive voltage pulses according to IEC/TS 61934. In combination with our GTU860 you are prepared for any partial discharge measurements in the UHF range. 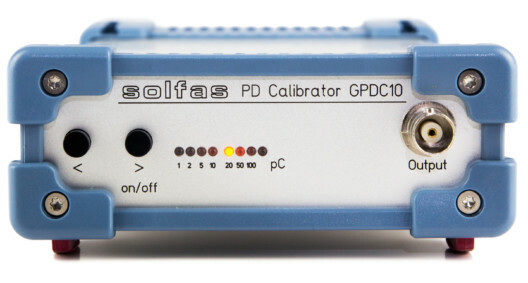 Simply connect the calibrator with the test setup including the GTU860 and easily check the sensitivity for the partial discharge measurement by selecting a suitable charge magnitude.